pastry and in particular the production of layer cakes are in continuous growth. Consumers are influenced by stimuli, fashion and trends constantly evolving; retail landscape is diversified and let glimpse significant changes in the near future. Gorreri strongly believes that production technologies should allow companies to exploit this mutation, not suffering it, and turn it into a real business opportunity as well as an aspect of primacy compared to the competition. For these reasons we study and produce machineries for small and medium distribution well-known for flexibility, interchangeability and reliability. 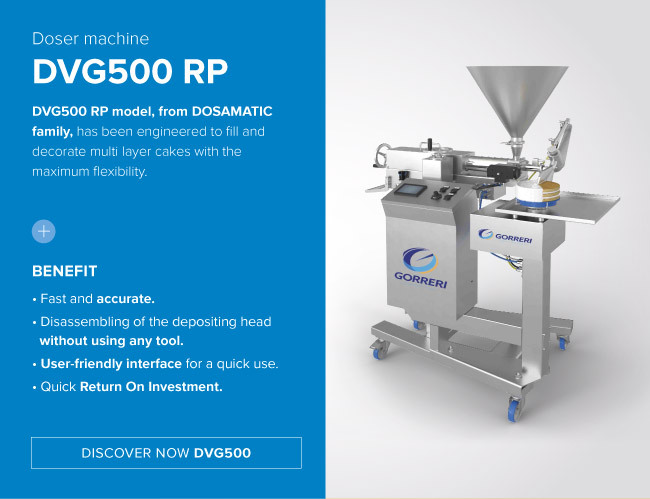 Dosers, lines for the production of layer cakes and ultrasound guillotine are designed for a simple, fast and versatile use and they are perfectly capable of assure high-performances that will ensure a quick investment return. 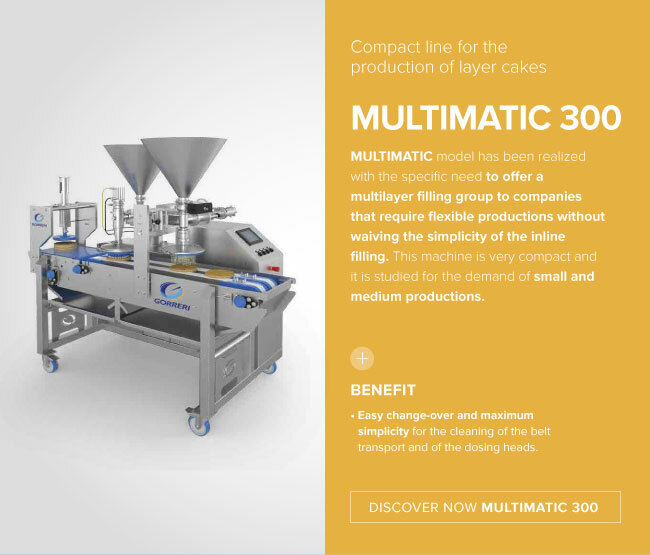 Thanks to the Doser DVG500 RP, designed to fill and decorate layer cakes with the maximum flexibility and to the Line for the Layer Cakes MULTIMATIC 300 it is possible to stuff in the products with ease and precision never seen. 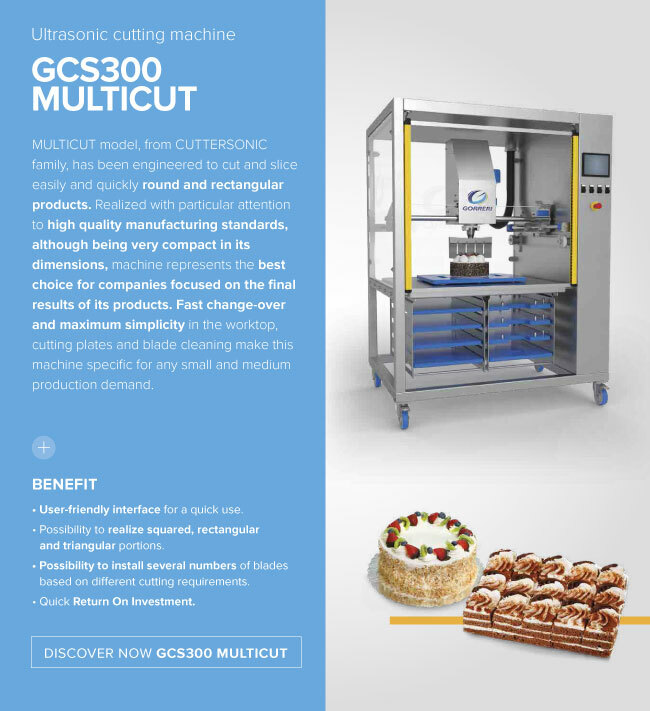 With the Ultrasound Cutting Machine GCS300 MULTICUT Series, it will be possible to cut rapidly products of every shapes, dimension and texture and create quantities and personalized forms, beautiful and precise…just perfect! 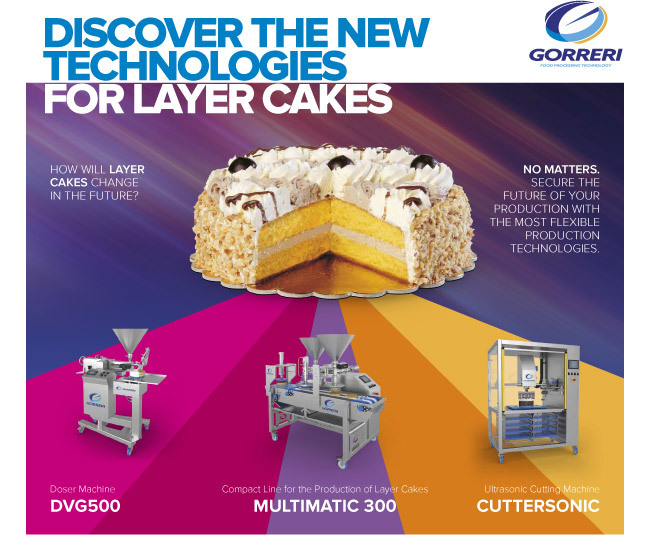 New range of products for Layer Cakes Gorreri, a step forward, a step further. For any information, estimates and further clarifications contact the retailer nearest you or directly our commercial offices and the web site www.gorreri.com.